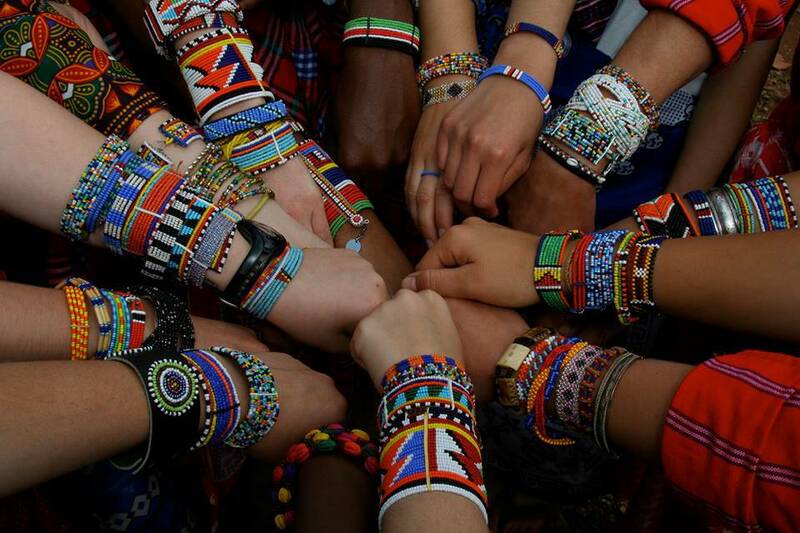 While appreciating favorite globally-renowned, mainstream designers that have become household names from New York to Nairobi, we marvel in the appearance of new brands; not only at Fashion Weeks but in the fashion industry. One such label that caught our eye this season, taking Kenyan fashion to the creative edge of New York’s fashion boutiques & runways – that of OMONDI by New York-based Kenyan designer, Recho Omondi. Founded in 2013, the brand made its official New York Fashion Week (NYFW) debut for Fall 2015 as an instant fashion delight. Her collection brimmed with expert-tailoring and a soft, but powerful color range from blush pink to utilitarian army green. 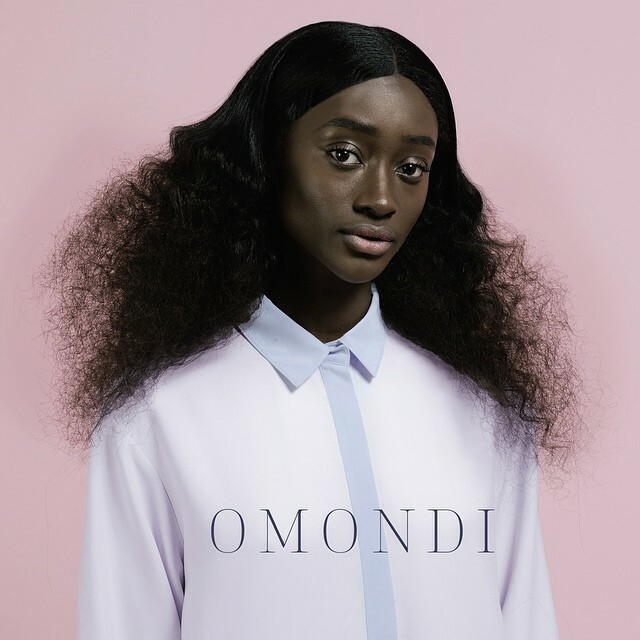 OMONDI’s fashion lookbook defines refined, imaginative, and steadfast looks in their design rigor. 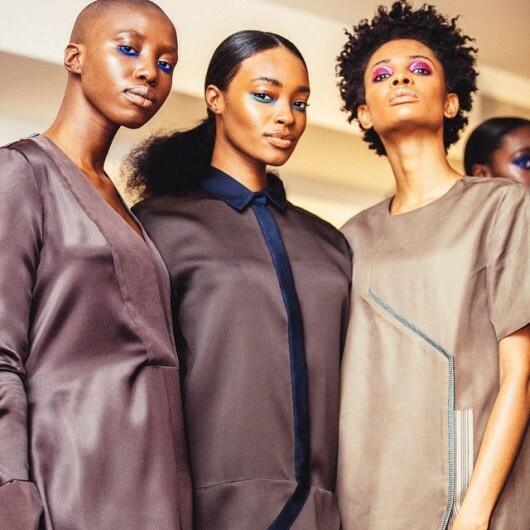 While at New York Fashion Week early in the year, she cast all black models who sported fresh looks from her collection featuring lovely pastels and dazzling silver colors. Her unified collection was an array of pastel pinks, lilacs, army greens, and greys, beautifully constructed and wearable. Calf-length lavender coats with oversized collars and their belts left untied also went down in history as one of the best coats of Fall 2015 on the NYFW runway and at consumer level s as well. 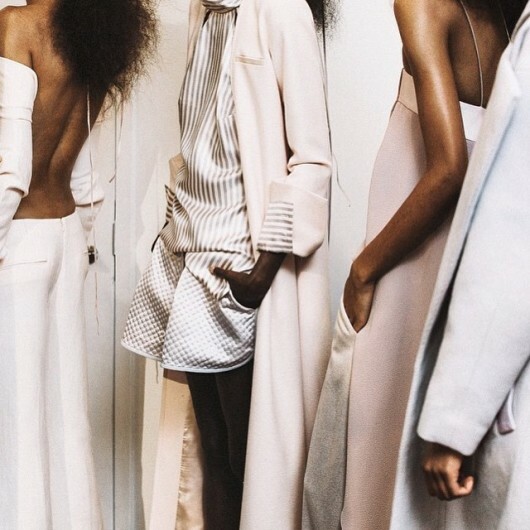 OMONDI’s striped blouses and quilted short combinations are undeniably stunning and embrace elements of haute-couture. According to OMONDI, her inspiration for the NYFW collection came from watching the sunrise in winter, which the designer explains was a reflection of endurance. The same kind of inspiration that you would probably need to make it to your 8a.m. meetings/lectures in June’s cold temperatures for us in Kenya. 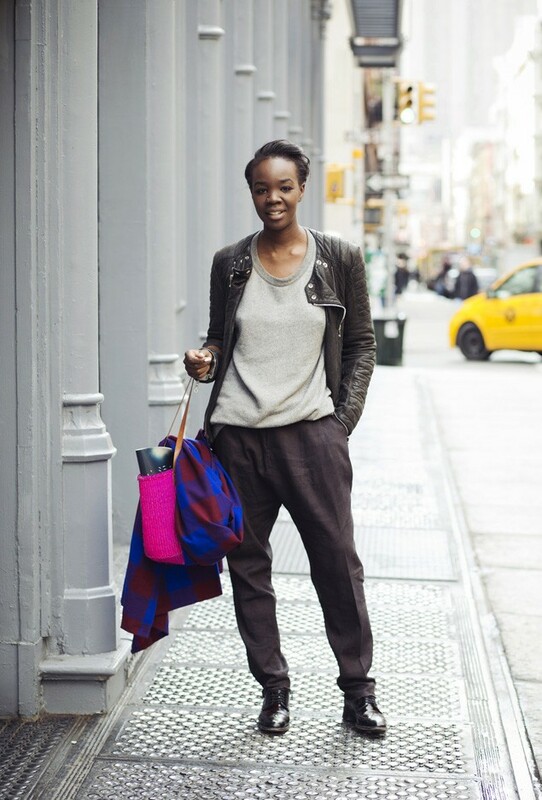 For a brief highlight on Omondi’s background – Recho Omondi is a New York-based fashion designer hailing from Kenya. She honed her skills and tailored her career in fashion as a pattern-making student at Georgia’s Savannah College of Art and Design (SCAD). After graduating, she went to work as an intern for Kimberly Ovitz; hence the clean lines and uncluttered aesthetics, both as evidenced in her Fall collection. 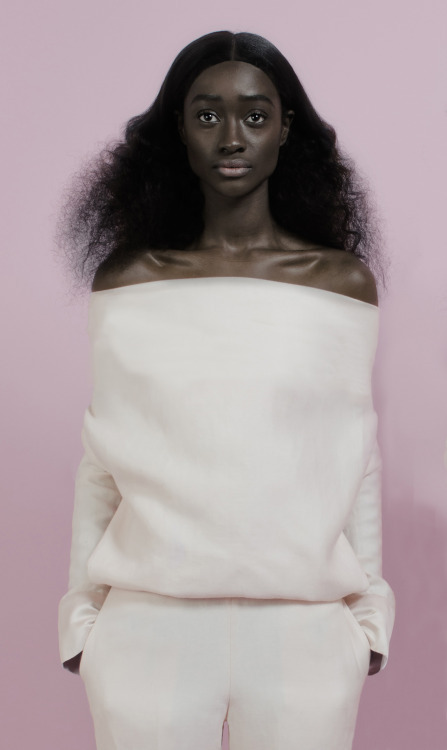 Eventually, Omondi embarked on creating her namesake label. 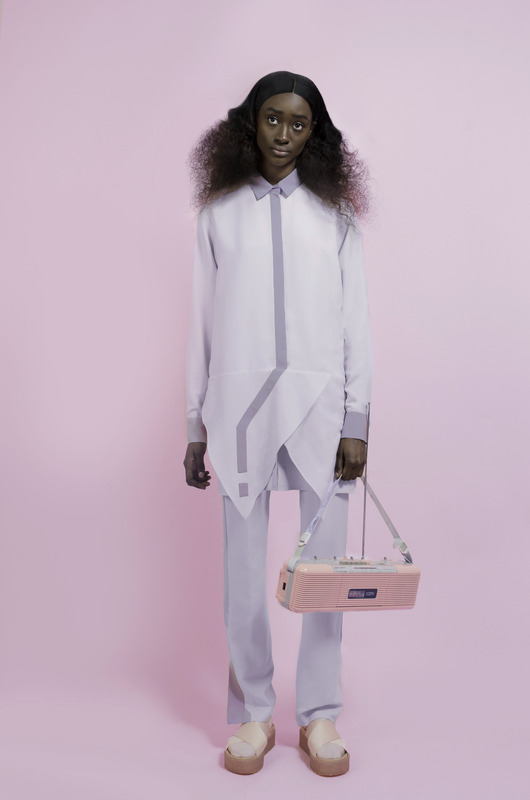 However, Omondi’s collection showed off that she’s a designer to watch out for in the fashion scene. We cannot wait to see more from OMONDI and we wouldn’t be at all surprised if a dress or two made its red carpet debut on one of Hollywood’s most fashion-forward women in months to come.